We have chosen a rich but subtle antique Jacquard brocade fabric, lined with a satiny polyester of the softest sheen with matching 4-inch chainette fringe. We offer numerous brocade colors with coordinating linings and fringes. Click Here for a chart of our fabric colors and combinations. 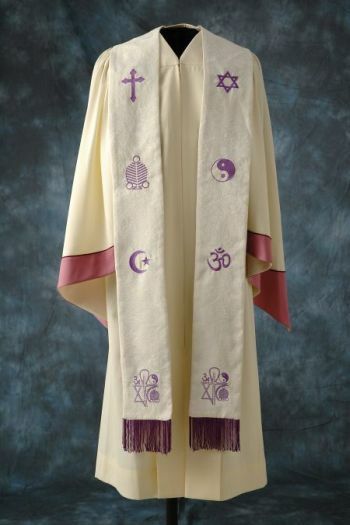 To customize your stole with other symbols, check out our "Design Your Own Stole" page!